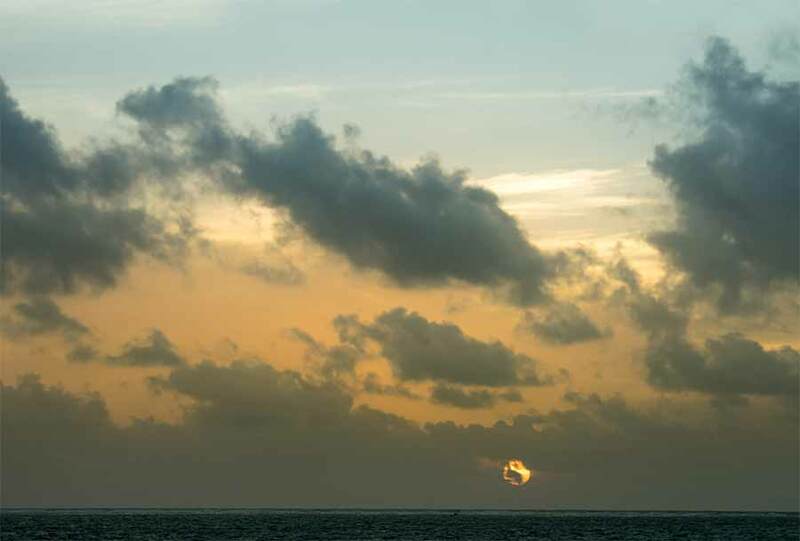 Belize NMS: Generally fair conditions will prevail over most areas of the country. 24-hour forecast: Sunny with a few cloudy spells today and partly cloudy tonight. Showers and thunderstorms will be generally isolated, except for a few more over southern areas tonight. General Outlook: Some cloudy spells with isolated showers or thunderstorms during Saturday, then a few showers and isolated thunderstorms mostly along southern and some coastal areas Saturday night. Today E 10-20 kts Choppy-Moderate 3-6 ft ISOLATED SHOWERS OR THUNDERSTORMS. Tonight E-NE 10-20 kts Moderate 4-6 ft A FEW SHOWERS AND ISOLATED THUNDERSTORMS MOSTLY SOUTH. Tomorrow NE 10-20 kts Choppy 3-5 ft ISOLATED SHOWERS OR THUNDERSTORMS. Outlook NE 5-15 kts Choppy 3-4 ft A FEW SHOWERS AND ISOLATED THUNDERSTORMS. On Ambergris Caye this morning the sun is shining and we have wind from the East at 15 mph. 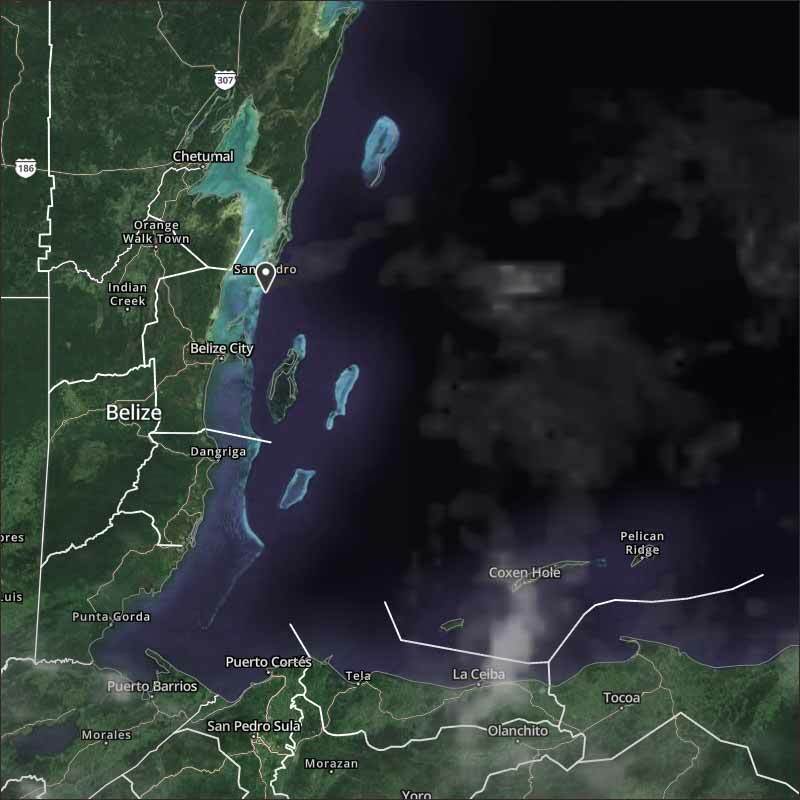 Our expected high is 89 f.
Generally fairly stable conditions around Belize at present, the easterly Caribbean winds are strong and causing lines of white cloud as it crosses the coast line. There is some mid-level air moving up from Honduras and another mid-level air movement from the NE from Florida forming a wispy line of cloud out in the sea. The high level is from the NW not much cloud with it presently. Looks like today will be mainly sunny with white clouds, a small chance of rain showers.